In a unique partnership, ShortTrackMusings.com has partnered with the Ontario Mini Stocks facebook to put together a top-10 ranking of the best asphalt drivers across the province. STM’s owner Ashley McCubbin and Rich Schwartzenburg from OMS FB put together a expert panel consisting of five members that will work together to rank the top-10 drivers on a bi-weekly basis throughout the season. The diversity of the panel from drivers to car builders to sponsors to car owners and media brings a variety of insights and opinions to the table. The list is meant to shed light on the division, create talking points, inspire reaction and have fun. So please make sure to react, comment, like and share. Keeping everything in mind from the past couple of seasons, here are the pre-season rankings as determined by the panel entering 2019. An almost unanimous choice at No. 1, he is the man to beat. No matter where Kamrath unloads the No. 35 Honda Civic across the province, he is a factor for the win. The ‘Instant Classic’ has scored victories in all of the invitationals across the province over the past couple of seasons, including the 2018 edition of the Autumn Colours Classic. He is quick to note, though, that his biggest win in the Mini Stock was the Frequent Flyer 50 at Sunset Speedway. 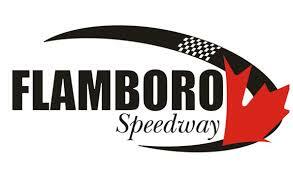 With having toured the province, Kamrath has gotten to see a variety of drivers, noting that the best field top to bottom across Ontario is currently a tie between Flamboro Speedway and Sunset Speedway. Though if he had to win just one event this year, it’d be the Jukasa Motor Speedway race. For 2019, Kamrath told STM that he will be running eight to 10 Pro Late Model events, along with four to eight Mini Stock events. The 2018 Flamboro Speedway Champion has been one of the threats to win on a weekly basis at the Hamilton, Ontario-based over the past couple seasons. Everything came together last year as he racked up five wins, 21 top-five’s and 24 top-10’s against one of the deepest fields of talent in the province to win the championship. He then completed the season with a runner-up finish in the first of two features as part of the year-end Frostoberfest feature. Although last year was success, he notes his biggest win to date was in 2017, as he made all his passes on the outside throughout the feature. One of the drivers he had to battle for the win was Russ Aicken, which he deems the toughest person to pass in the division. His experience both seasons has allowed him to witness Flamboro Speedway being the toughest field top to bottom to run against. Taylor will return to Flamboro Speedway in 2019, looking to go back-to-back, while running some special events this season. He was quick to note that if he could only win one race this season, it would be the Jukasa Motor Speedway special. With Peterborough Speedway boasting full fields on a weekly basis, Ryan Oosterholt didn’t have it easy, but he made it look that way. He was dominant throughout the season, with multiple trips to victory lane en route to winning the track championship in 2018. He then came out to the track’s year-end invitational, scoring a third-place finish in the Autumn Colours Classic. Oosterholt’s talent behind the wheel was only proven further when he was able to triple down on championships last year at the patch, taking home the Bone Stock and Renegade Truck titles as well. Even though he may have ran a shortened schedule, Warren Paxton showcased the same speed that led him to a past championship at Sunset Speedway. He led the way in the Great Lakes Concrete Series last year, winning half of the features (three of six) with a worst finish of fourth en route to the title. Notably, the last of those wins for ‘The Mayor’ came in Sunset Speedway’s deepest field of the season at the year-end Velocity 250 invitiatonal. He also backed it up with a runner-up at the Autumn Colours Classic. Continuing to get faster on a yearly basis, Samantha Shaw is right now considered the championship favorite entering the season at Sunset Speedway. Last year, she scored 14 top-five’s, including a feature victory to start 2018, en route to placing second in the standings. She also showed that she’s not just strong at one track, scoring a third-place overall finish at the 2018 Frostoberfest, after winning a feature at Flamboro to complete 2017. Shaw has become a fixture in the division, as the 2019 campaign will mark her 10th season behind the wheel. She notes her biggest win to date was her first win at Sunset Speedway in 2014, while stating that the toughest driver to pass through the years was Jordan Howse. For the 2019 campaign, Shaw will be racing the No. 81 Mustang full-time at Sunset Speedway, as well as running invitiatonals at Flamboro Speedway, Sauble Speedway and Jukasa Motor Speedway. If she could win just one single event this year, she stated it would be Jukasa. Kevin Bridge knows how to reach victory lane, scoring multiple feature victories over the past couple of seasons between Sauble Speedway and Sunset Speedway. Notably, he was the winner at last year’s Spring Velocity. The driver of the No. 17 Honda Civic also came close to doubling down on championships, placing second in both the Sauble Speedway and Great Lakes Concrete Series standings. With Sauble Speedway eliminating their weekly mini stock program, Bridge will be touring around the province for the 2019 campaign. Notably, the schedule includes both of the big invitationals at Jukasa and Sauble, as well as both Velocitys at Sunset and Frostoberfest at Flamboro. The 2018 Sauble Speedway Champion was able to reach victory lane on multiple occasions last year en route to winning the title – which he ranks as his biggest win to date in his career. He also proved that he can be strong outside of his home track, scoring top-10 finishes at Sunset Speedway’s Great Lakes Concrete Series races. His schedule last year sees him ranking Sunset Speedway as the toughest field in the province “hands down,” while saying his brother Andy Kamrath is the toughest person to pass in the field. “You can’t rough him up – because then it’s on,” he added. For 2019, Kamrath will be touring the province of Ontario, hitting all of the big events. If he could only win one single event this year, he has Autumn Colours Classic at Peterborough Speedway circled on his calendar. Wilson was solid at his home track of Full Throttle Motor Speedway, scoring eight wins and 26 top-five’s en route to a runner-up in the year-end standings. He then took his speed on the road, winning a feature at Flamboro Speedway’s Frostoberfest en route to placing eighth overall. Erik Dalla Riva put together a consistent campaign at Flamboro Speedway in 2018, scoring 12 top-five’s and 20 top-10’s, including a victory on August 4. His talent was proven to the province, though, at Flamboro’s year-end event. He would place third in both features at Frostoberfest to take home the famed igloo trophy. With that said, it’s no surprise the victory has been dubbed his biggest win to date. With having competed at Flamboro on a weekly basis, he is quick to rank them as the deepest field across the province, while noting their 2018 track champion Shawn Taylor is the toughest to pass. For 2019, Dalla Riva will be touring around the province, running the big invitational events at Sunset Speedway, Sauble Speedway, Flamboro, and Jukasa Motor Speedway. He will be also teaming up with Rich Schwartzenburg for a points run at Flamboro. While admitting this was a tough decision, his one race to win this year would be Velocity at Sunset Speedway. A past champion at Sunset Speedway and Barrie Speedway, Doug Butler was the man through the early part of the 2000s in dominating all of the invitiatonals. He has still shown speed behind the wheel, scoring three feature victories and a runner-up in his four starts at Full Throttle Motor Speedway last season. With a consistent schedule, no one would be surprised to see Butler in the number one spot over the course of the season. The opinions expressed are those of the panel and don’t nessarly reflect the opinions of those not on panel, whether competitors, promoters, or fans.